A law firm is set to relocate to Edison Properties’ Ironside Newark project, as the developer also prepares to move its own headquarters to the rehabilitated former warehouse building. Edison Properties announced this week that Pearlman & Miranda has signed a lease for 7,296 square feet at the property at McCarter Highway and Edison Place. The firm will move from Bloomfield to its new space on the property’s third floor. The developer will also join Pearlman & Miranda on the third floor early next year when it relocates from its longtime headquarters on Washington Street in Newark. The company will occupy 39,709 square feet at the adaptive reuse property. “We’re proud to bring Pearlman & Miranda, a woman and minority-owned business, to Ironside Newark,” said Michael Sommer, Edison Properties’ executive vice president of development. “In today’s market, executives across industries, from law to technology and beyond, are finding modern loft-style offices with open ceilings, exposed mechanical systems, polished concrete floors and rooftop terraces attractive for their companies. Both will join Mars Wrigley Confectionary U.S. at Ironside Newark, following news earlier this year that the iconic candy company would move its North American headquarters to the building. 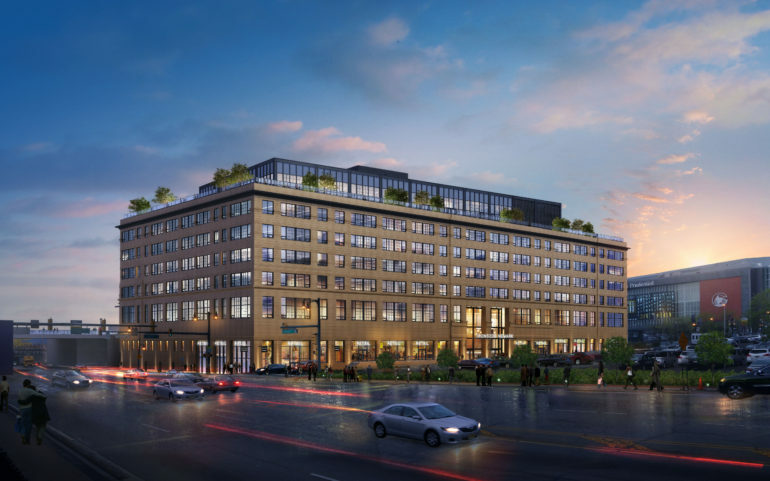 Edison began redeveloping the 110-year-old former warehouse last year, marking the city’s first speculative office project in more than 30 years and clearing the way for 456,000 square feet of modern loft-style and penthouse offices. Today, the office space is 72 percent leased. Founded in 2014, Pearlman & Miranda has practices area including public finance, redevelopment, renewable energy, trusts and estates, civil litigation, social investment, bankruptcy and restructuring, horse racing and real property taxation.